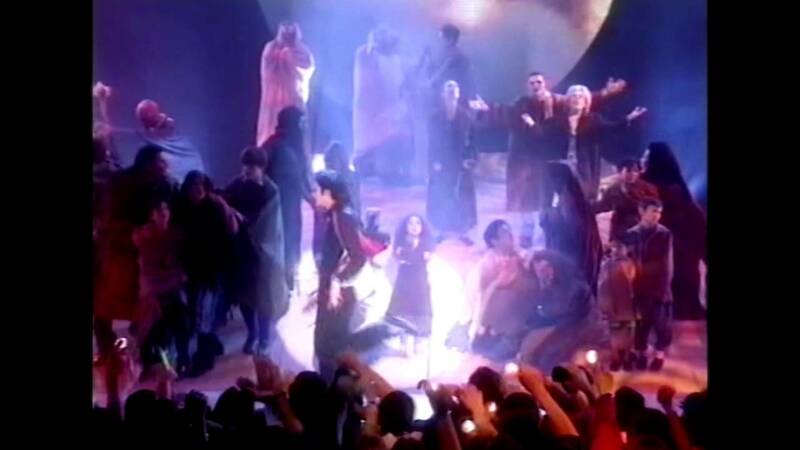 The BRIT Awards 1996 will always go down as the day the Pulp frontman stole the King of Pop's thunder during Earth Song. But why did he do it? Picture the scene. It's the 1996 Brit Awards and global superstar Michael Jackson is mid-way through a flamboyant and even more over-the-top version of his Earth Song single than anyone ever thought possible. Images of starving children are being projected onto a screen as Les Mis-looking actors begin generally worshipping at the alter that is MJ... until Jarvis Cocker shows up and bends over on national TV, of course. Re-live the performance in the video above. Less of a "moon" and more of a bend and and flounce, the Common People singer turned away from the crowd, bent over and made a wafting gesture from his behind (as if to get people to wake up and smell the excrement we imagine), before demonstrating his zip-up top and running off. Admittedly, by today's standards it's not exactly shocking. But if you consider that this happened 13 years before Kanye West even considered interrupting Taylor Swift's MTV VMA Awards speech, and eight years before Justin Timberlake and Janet Jackson had that 'nip-slip' moment at the Super Bowl, it puts the controversy in perspective. While the likes of Noel Gallagher were calling for him to be knighted, and Neil Morrissey and Martin Clunes led a "free Jarvis" campaign some took the stunt very seriously. Cocker was immediately rushed to a police station and kept there until 3am on charges that he said were to do “assaulting some kids," but of course they had nothing concrete on him. But what exactly prompted the Pulp frontman to (not quite) bare behind during the King of Pop's performance anyway? Asked about the incident on TFI Friday shortly after his stint in the slammer, the Brit Pop star said: "I was just sat there and watching it and feeling a bit ill, 'cause he's there doing his Jesus act. "And I could kind of see - It seemed to me there was a lot of other people who kind of found it distasteful as well, and I just thought: 'The stage is there, I'm here and you can actually just do something about it and say this is a load of rubbish if you wanted.'" Technically he's not wrong. The latter half of Jackson's performance has plenty of messianic imagery, and by the end even sees him wearing all white and bathed in light as he transforms the lives of those on stage. Heck, some of them even kiss him on the head and kneel at his feet! Asked about that "wafting gesture" and whether he does it often, the Different Class star simply replied: "No comment." But perhaps the most Jarvis Cocker moment comes in the form of his response Chris Evans who reveals he was detained in his dressing room at the BRITS for two hours before even been taken to the police station. Asked exactly what the authorities were asking him for those two hours, Cocker simply replied: "Where'd you get your zip-up top?" Great British humour at its best.